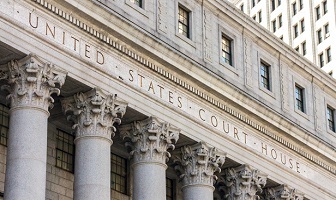 This blog post on Lexology from Robert Laplaca discusses a recent case in the United States District Court of the Southern District of New York regarding websites’ usage of embedded Twitter posts in their content. In the case Goldman v. Breitbart News Network, LLC, District Judge Katherine Forrest stated that using embedded content from another website still leaves the user liable to claims of copyright infringement. United States District Court of the Southern District of New York. Goldman v. Breitbart News Network, LLC. 15 Feb. 2018, www.eff.org/files/2018/02/15/goldman_v_breitbart_-_opinion.pdf. This entry was posted in Copyright, News and tagged content, copywright, law, twitter.